INCARCERATED Marbella officials are back in court to face fresh corruption charges. 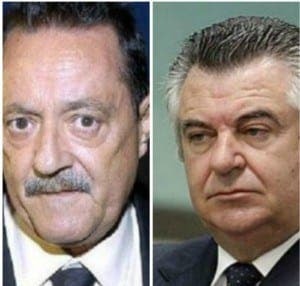 Julián Muñoz, ex-mayor, and Juan Antonio Roca,the former town planning advisor, are being investigated at the Primera de la Audiencia in Malaga over alleged accounting irregularities while in power. The prosecutor wants the pair to face 10 years each in jail if found guilty of the charge, which relates to accounts concerning urban construction agreements made between the town hall and interested parties. The prosecution alleges changes were made to accounts between 1995 and 1997. In court, Munoz, a former waiter, stressed that he did not understand what he was signing and did not receive any money for doing so. For his part, Roca attested that while he had negotiated some “600 or 700 agreements” he had no part in the irregularities being investigated. “I would not mind acknowledging that I have done this had I but I haven’t” he said. Both parties are currently serving time for various other corruption charges. Roca headed the Malaya Plot, through which 53 officials embezzled public funds, breached trust, influenced peddling and more. Munoz, who was incarcerated for one year in the same case,was last month sentenced to a further year for crimes against land use planning.